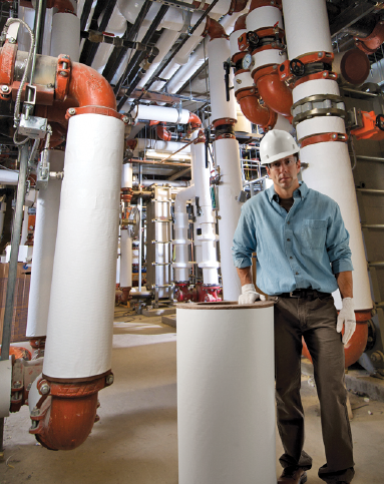 Knauf Insulation Earthwool 1000˚ pipe insulation is a molded, one-piece insulation made from inorganic glass mineral wool bonded with ECOSE® Technology. It is produced in 3' lengths with or without a factory-applied jacket. ASJ+ is the newest generation all-service jacket composed of aluminum foil, reinforced with a glass scrim bonded to a kraft paper interleaving, with an outer film layer. This jacket leaves no paper exposed, allowing for easier cleaning. 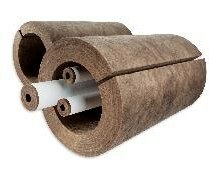 Earthwool is the only glass mineral wool pipe insulation in the market that is formaldehyde-free.